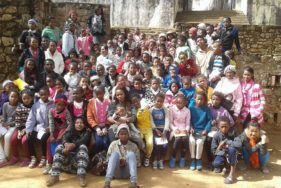 ATD Fourth World is present in three areas of Madagascar: Antananarivo, Tulear, and Majunga. In Antananarivo and Tulear, there are teams of Volunteer Corps members and allies. A group of friends is based in Majunga. These teams work together to maintain a presence in the some of the most impoverished areas of their city. Education and knowledge sharing projects work to value the knowledge of each person, and to encourage encounters between people of different backgrounds. These can take the form of Street Libraries and Festivals of Learning, Tapori groups of with young people, or professional training workshops that helps young people take action in their own communities. Antananarivo also hosts a People’s University. 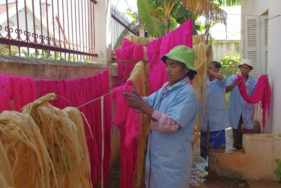 In an effort to improve access to dignified work, the association of artisans Miasa Mianatra Miaraka (MMM, “Working and Learning Together”), has been working for over ten years to allow people in extreme poverty to access training and experience necessary to find work. ATD Madagascar is proud to partner with numerous government agencies and NGOs, including the Plateforme de la Société Civile pour l’Enfance (PFSCE), the Plateforme de Développement des Compétences et Techniques Professionnelles (DCTP), the Plateforme FierT (Formation Insertion Ensemble Relever la Tête), the city of Antananarivo, the Telma Foundation, and the Ministry of Population. 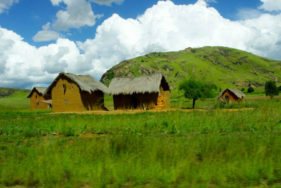 ATD Fourth World has been present in Madagascar since 1989.